November 2013, Eagle Mountain, Utah. Ben Hayes, Account Executive for Directcom, presents a donation to Angie Hale and Principle Conley of Eagle Valley Elementary. 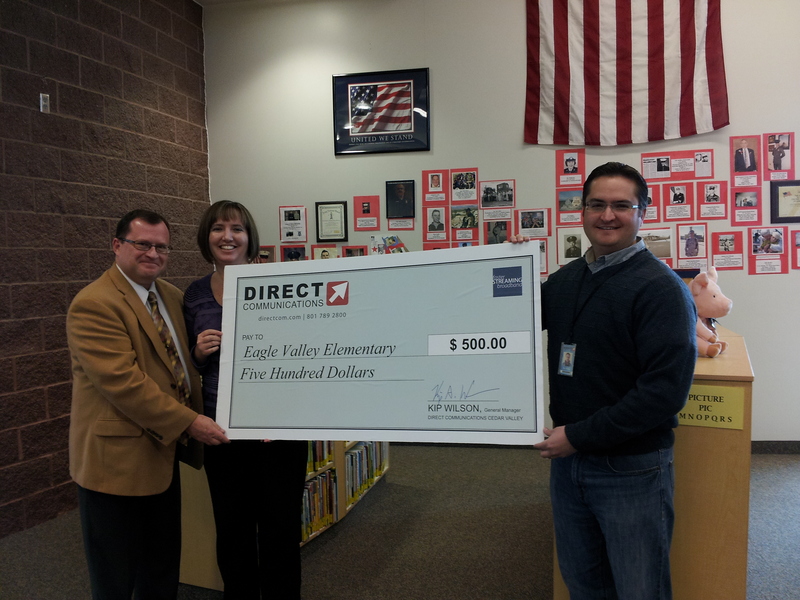 Direct Communications donated again this year to Eagle Valley Elementary School in Eagle Mountain, as part of the company’s commitment to be involved in the community. As the local broadband service provider, Direct Communications believes that supporting local education is a way to both reinforce the important message that good education and better broadband service go hand in hand, and both are essential elements to enhancing the quality of life for all in Eagle Mountain.